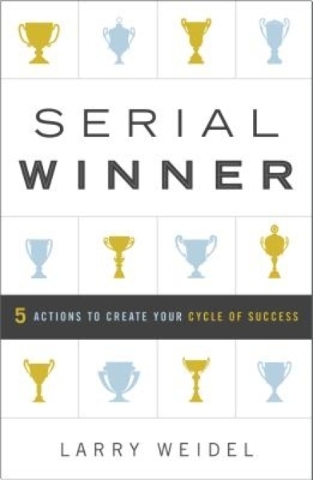 “Serial Winner – 5 Actions to Create Your Cycle of Success” by Larry Weidel (Greenleaf Book Group Press, $21.95). As I turned the pages, I thought of Mitch Albom, an award-winning journalist, author of numerous best sellers, creator of musical scores and radio show host who also established charities in Haiti and Detroit. We all know people with similar track records of success. “Don’t Hesitate, Decide.” Don’t let uncertainty deter action. Figure out what you want. See your “glass” as half full and decide what you must to do to fill it. Gather facts and create an action plan and timeline. “Don’t Just Do It, Overdo It.” Convince yourself you can do it. Stay convinced by surrounding yourself with people who do more than encourage you; they point out how to improve your plan and actions. When things don’t go as planned, increase your capacity to excel by doubling down on actions you take. Keep pushing yourself. “Don’t Quit, Adjust.” When actions don’t yield progress, you have two choices: give up or keep going. Moving forward with a mindset of “improvise and adapt” makes you think about what else you can do when confronted with obstacles. “Don’t Just Start, Finish.” Since you don’t control many of the elements that impact your plan and actions, you never really know where the finish line is. It’s out there. If you think about your plan’s action as a marathon not a sprint, you’ll have the staying power to finish. “Don’t Settle, Keep Improving.” Don’t settle for being a one-hit wonder. See life as a path of continuous improvement. Take what you’ve learned (especially from mistakes) and develop a to-do agenda. 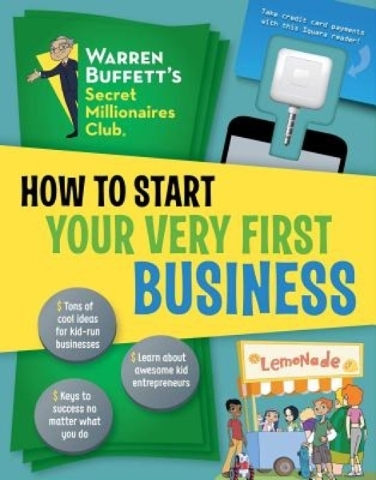 “How to Start Your Very First Business” by Warren Buffett’s Secret Millionaires Club (Downtown Bookworks, $14.99). Turn something you love into a business. Nine-year old Cameron Johnson loved to draw. In 1994, he created one-of-a-kind stationery and greeting cards for family celebrations. Family, friends and his parent’s co-workers wanted to buy the cards. Word spread and his Cheers and Tears business prospered. Johnson became a tween-age entrepreneur. Through Web-based ventures (the first was selling Beanie Babies on eBay), he became a millionaire by the time he finished high school. Main saw a societal side to his business, too. The candles are produced in community kitchens staffed by the developmentally disabled. A portion of the proceeds goes to the kitchens so they can provide meals to those less fortunate — more than 100,000 meals so far.